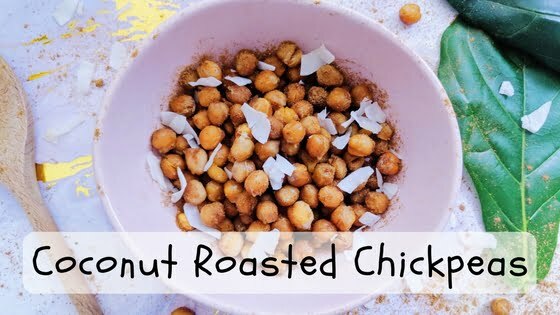 These Coconut Roasted Chickpeas are an excellent healthy snack! 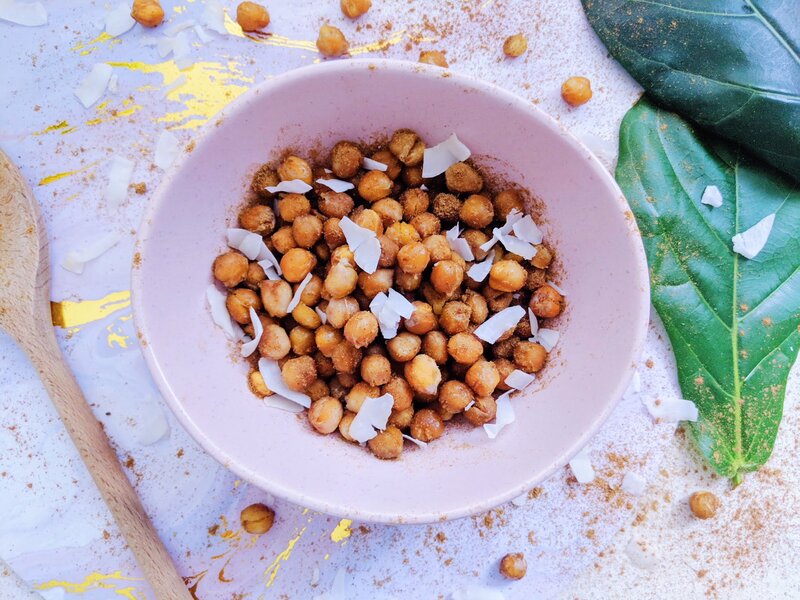 Chickpeas are high in plant protein, fibre & iron, so they will keep you feeling full and help you maintain good energy levels throughout the day! Whip them up as a nutritious snack on the go or add them to your salads and nourish bowls! And if you’re a lover of chips and savoury biscuits, these are the perfect healthy alternative. Drain chickpeas. Place onto a lined baking tray and drizzle with olive oil, coating evenly all over. Sprinkle with cumin & bake on high until crispy. Note – Mine took ~20minutes and I mixed the chickpeas around in the baking tray half way through cooking so they baked evenly. Remove from oven, sprinkle with coconut and enjoy! I made these today for a pre gym snack and oh my! So delicious! Thank you bunches! ?